City of Burbank Health and Wellness Fair Today! At Garri Dance Studio, health and wellness starts at a very young age! 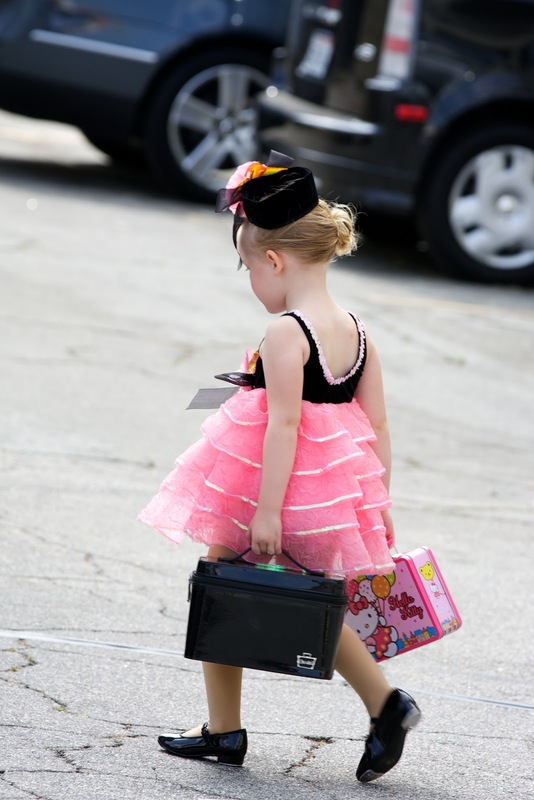 We start our dancers in Mommy and Me Dance Classes at 18 months and in Independent Dance Lessons at just 2 years old. It's never to early to start healthy habits and getting your heart pumping and your body moving is our favorite way to do it! Miss Caroline will be representing Garri Dance Studio today at the City of Burbank's Annual Wellness Fair. GDS has been keeping the Burbank Community healthy for nearly 55 years. Dance provides so many physical benefits to our students but dancing helps keep our minds and souls in great condition, too! We look forward to the next 55 years of dancing in Burbank! There is sure to be a lot of other great vendors that offer healthy options around town and we can't wait to learn more about them today! We hope to see lots of city employees at the Wellness Fair today. We're raffling off a month of free dance lessons to help get someone started on their dance journey with us. Have a dancingly day, everyone! BACK-TO-DANCE!! ONLINE REGISTRATION FOR FALL CLASSES IS NOW AVAILABLE!! Garri Dance Studio Staff is consistently working to find new ways to simplify the lives of our vauled dance families! Our site is extremely easy to navigate through and has recently been updated with exciting and useful new info that you will really like! Of course, you still have the option to call us to learn more about classes, get assistance on what times and days are available and find out why our studio is the best choice for dance lessons in town. Our office is open during all class times and during normal business hours Monday-Thursday from 9am-7pm, Friday from 3pm-7pm and Saturdays from 9am-2pm. Classes fill very fast at Garri Dance Studio and waitlists are available. However, once a class is full, it can become difficult to get a spot in your first choice class once dancers settle into their new Fall Classes. The best way to ensure your class time is to register on-line and guarantee your space in your favorite class. Garri Dance Studio is always finding new ways to improve the dance experience for each and every client from day one of their dance journey with us. GLEE Dance and Musical Theatre Camp for ages 5 & Up! Calling all GLEEks! Singing, dancing and acting will be essential in this special Musi­cal Theatre Camp inspired by the hit tv show GLEE which incorporates some favorite musical reviews. Kids will work with all the facets of being in the theatre — reading scripts, studying scenes, learning choreography and songs. Become a real class act in our Fun GLEE Camp at Garri Dance Studio!! Monday - Friday, 9am - 2pm • July 30 - August 10 $450.00 for 50 hours of dance fun! Your child will receive a quality dance education in a caring and fun environment, all based on the beloved Angelina BallerinaTM character. The Angelina Ballerina Dance Academy curriculum is designed by internationally renowned master teachers and child development experts. Your child will be inspired to pursue their dreams of dance, just like Angelina Ballerina! This 5-day camp is designed to promote physical health, confidence, and creativity while teaching proper dance technique in Camp 1 for ages 3 - 4.5 and Camp 2 for ages 4.5 - 6. Free Dance Lessons, Raffles and Fun! Sunday August 19th! Join Us For Open House Sunday August 19th! Garri Dance Studio will be hosting their annual Open House on Sunday August 19th from 12-3:00pm! Come one, come all for Free Sample Dance Lessons, Raffles and Fun! This event will give a sneak peak into what new and exciting classes are on the Fall Schedule! 54th Annual Recital was HUGE Success! This was our first recital experience for our daughter, Natasha, (in Katie's 5:30 ballet 1 class). On behalf of our entire family, we wanted you to know how much we LOVED the absolutely GORGEOUS show last night!!! Thanks for all you do to make magic come alive for our children. Thanks again for a fantastic experience last night! FIFTH RECITAL... THE BEST ONE YET! The teachers and staff did an amazing job this year! This was our 5th recital and I have to say...hands down it was the best one yet! The choreography was impressive....the teacher's out did themselves. The location was also much more convenient and sign-in flowed very easy. You should all pat yourselves on the back...Great job everyone! HAPPY TO BE BACK AT GDS! Thank you, Garri Dance, for a job well done! 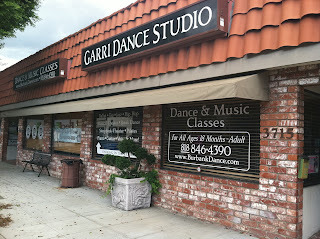 Last night's recital reminded me why we came back to Garri Dance after a year at another studio. Very organized operation. I'm sure you saw the flaws in the how the show was put together, but the audience didn't! And the dancers were able to show what they learned. All the routines were choregraphed to highlight the fundamentals of the type of dance the kids learned. Yes, kids don't remember everything, and individuals aren't necessarily talented, that's a given. But it was obvious that even when they made mistakes with which step came next, as a whole, they LEARNED the dance techniques the routines were choregraphed to display! We left Garri Dance after a year only because of scheduling, and we will likely be leaving again after the summer for the same reason. But having spent a year in between at a different studio where the recital was all about the "company" dancers and the teachers themselves, who performed in most acts along side their students, it was so great to see a recital about the students who love to learn to dance. If our schedule allows, we will be back. And last night's recital made us even more likely to try harder to fit dance classes in next year. GDS can't wait until the 55th Annual Show next year!! Garri Dance Studio is now an official Angelina Ballerina Dance Academy! Angelina Ballerina Dance Academy classes are taught through a nationwide network of top quality dance studios.